This museum honors Moriye Ogihara (Rokuzan), the gifted sculptor who learned the essence of sculpture from Rodin in Paris at the beginning of the 20th century and brought modern sculpture to Japan. The museum was opened in 1958, funded by the donations of three hundred thousand students and people including school boys, girls, teachers and general citizens from his home area. 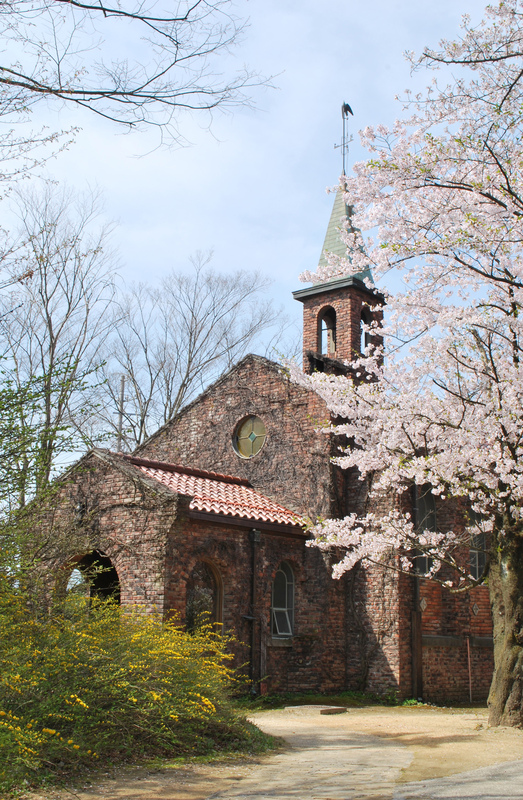 Conveying a spirituality strongly instilled by his Christian upbringing, the main building’s church-based design can be seen as a work of art in all four seasons, especially in early autumn. In this main building Ogihara’s works are exhibited, while in the other buildings display the works of his friends and artistic lineage. Ogihara was born the fifth son in a farmer’s family, on December 1st, 1879 in the area currently known as Hotaka, Azumino City in Nagano. 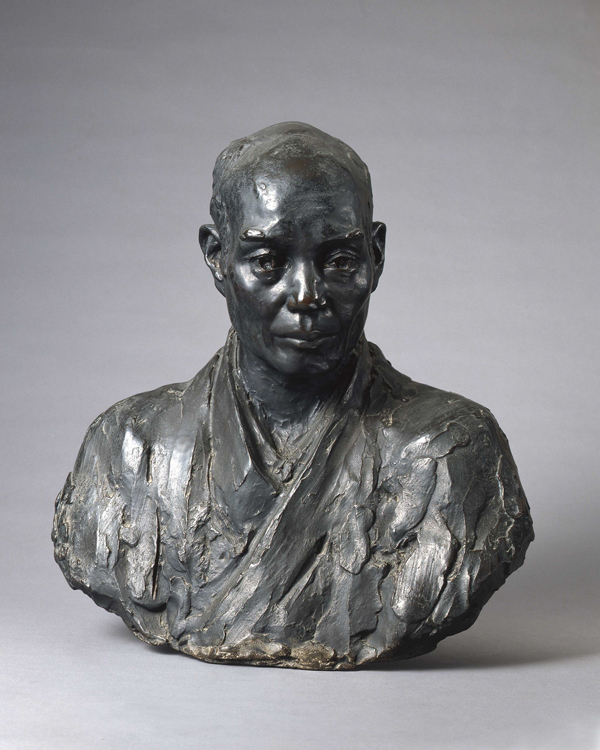 After setting his sights upon art, he went to Tokyo in 1899, the U.S. in 1901, and France in 1903. In Paris, Rodin’s statue “The Thinker” made a deep impact upon him and his focus on art moved from painting to sculpture. He then returned to New York to study more about art while he saved up for art school. In December 1907, he left Paris to go back to Japan via the countries of his fascination, Italy, Greece, and Egypt, and arrived in Japan in March 1908. In June of that year, he established a studio in Shinjuku, Tokyo, and began creating works of art. Through his works and writings, he advocated that “True art is the art that represents life”. He completed his representative works “Portrait of Mr. Torakichi Hojo” and “Woman” before his sudden death on April 22, 1910 at age 30. Thus there were relatively few works produced and currently only 15 pieces are left. 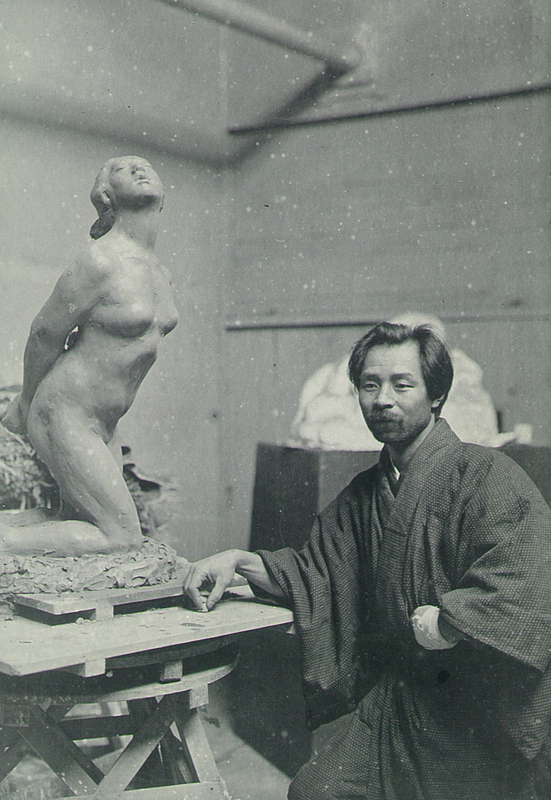 “Woman” and “Portrait of Mr. Torakichi Hojo” are listed as Important Cultural Properties by the Japanese Government (among the total of six pieces of modern Japanese sculptures). 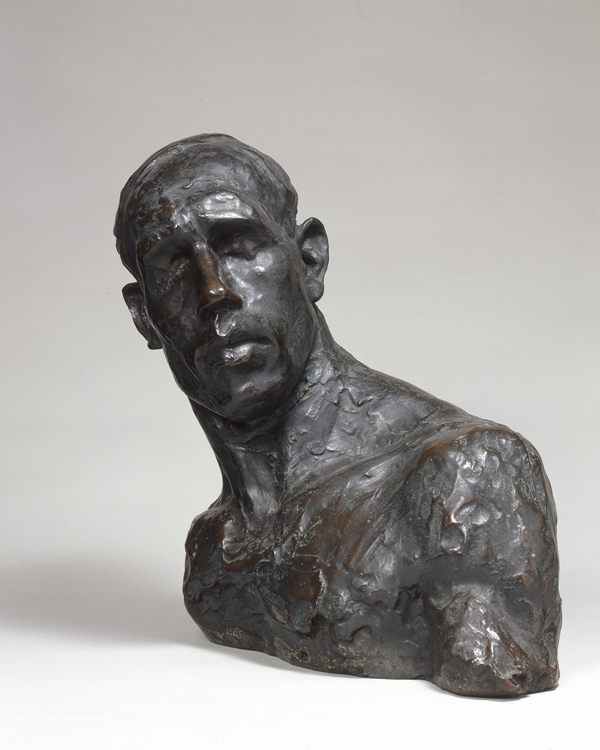 His works reflect the dynamic movement of western art absorbed from Rodin, as well as the calmness of eastern art. The deep impression of true art brought about by Ogihara has been a significant influence succeeding artists. This is the piece that marks Japan’s arrival into the world of modern sculpture. It shows a firm presence of physical strength rising up from within. It indicates that one of the attractions of sculpture is the beauty of the mass. Looking at the head you will recognize that he mastered delicate and fine clay work only in two years after “The Miner”. The slight turning of head to the left creates a wonderful spatial composition. The contrast of clay texture in the head and clothes is one of the attractive points of this work. A masterpiece of Japanese modern art, this was the first modern sculpture to be designated an Important Cultural Property by the Japanese government. 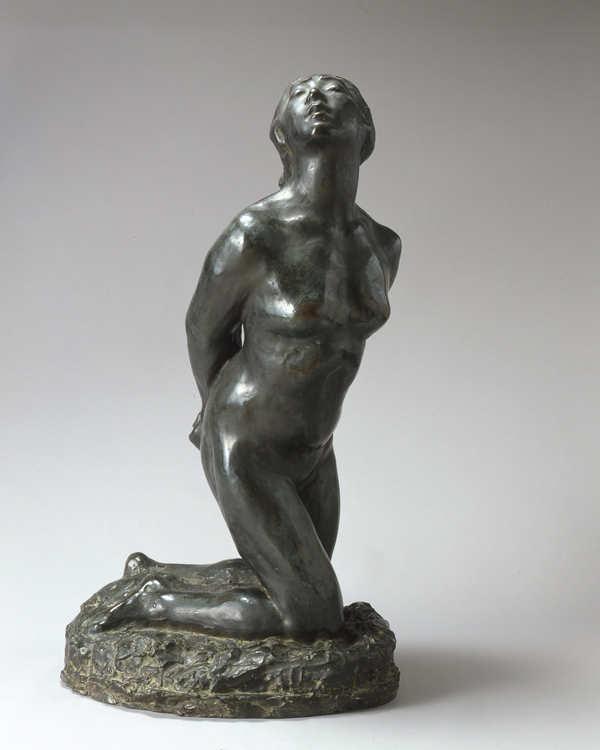 The spiraling and ascending movement of the figure is alluring. Ogihara’s own struggles with unrequited love and his personal state of mind is sublimated in this universal expression. Looking at this work, one can feel the meaning of Ogihara’s own words “Love is Art, Struggle is Beauty”. Copyright © 碌山美術館 All Rights Reserved.